Frederick Bousquet was the first swimmer in the world to swim the 50m freestyle in under 21 seconds! He did this wearing the Jaked J01 full body suit, the tech suit so fast it lead to FINA changing the rules on competitive swimwear! Bousquet has won over 43 international medals combined. His main goal in life is a modest one -- to just be happy. 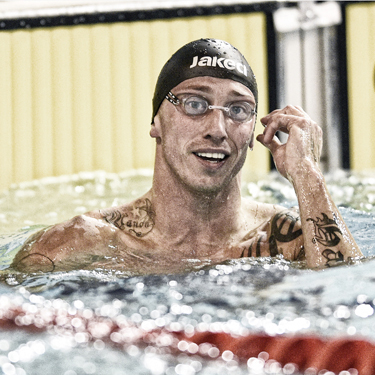 Bousquet is currently sponsored by Jaked and has been spotted racing in the Jaked J-Keel Jammers, Jaked Spy Extreme Goggles and Bowl Silicone Swim Cap.